Your care plan is more than just your medicine. Add Drugs, Supplements, Nutrition, Physical Activities and Therapies to your care plan. Pick a dose form, color, dosage, and save notes. Mark medicine as depleted or have us track it for you. Using advanced algorithms, we automatically show you all potential NEGATIVE interactions, along with potential positive synergistic effects between supplements, all of which are scientifically referenced. Check-in to your journal and record your progress, include your supplement & drug adherence, journal notes, nutritional information, physical activity, daily values, health symptoms, side effects and therapies. Need to keep family or a caregiver in the loop about your health? Save all your CareGiver information in one place for for future reference safely. Add Caregiver alerts for missed doses, and share your progress reports. Always have someone that will help you stay on track. 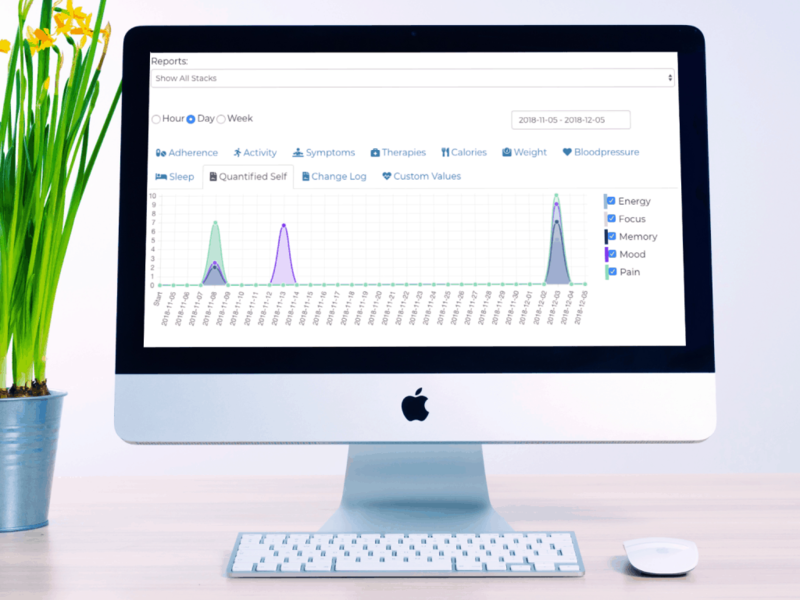 Your check-ins create reports which are summarized in the reports section with beautiful charts. Quickly see how you’ve done and look for triggers. 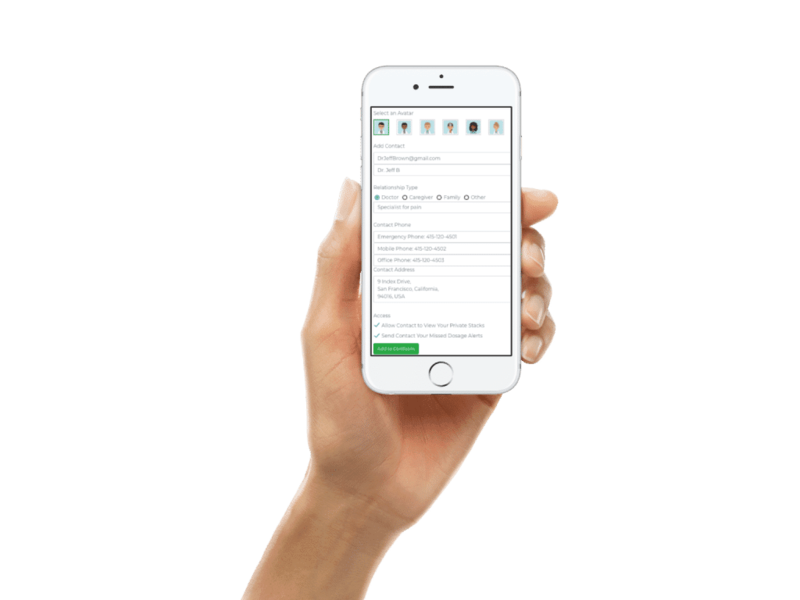 Go further and share your reports digitally with anyone, export them or print everything to share with your caregiver during the next visit. They will thank you for it! 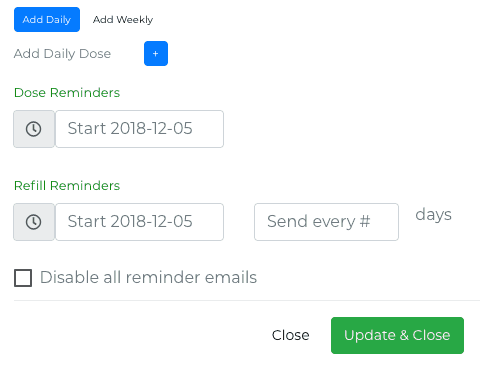 Use the calendar to get a quick glimpse of upcoming active and inactive reminders, your adherence, journal entries, symptoms and changes to your care plan using advanced filters. 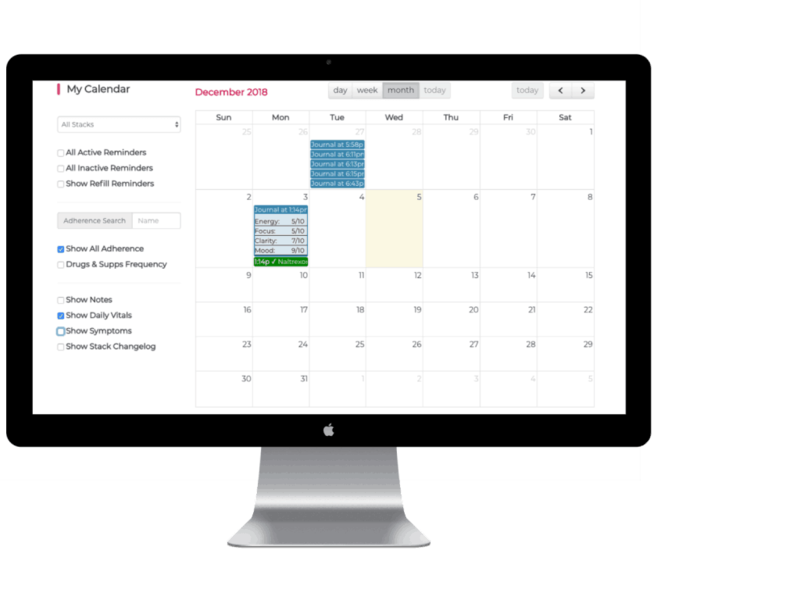 The interactive calendar allows you to search past adherence and even add notes directly on the calendar. Set reminders for upcoming appointments with caregivers, or for refills, adherence to medication, drugs and other modalities. You may additionally set reminders for entire care plans/regimens as well. Reminders can be sent via e-mail and be notifications on your mobile. Along with the option to chose from 10+ reminder tones. Many additional tools to help you with self-care. Such as: Supplement recommendation tool to figure out which supplements to add to your care plan based on personal health goals. Health calculators such as BMI, BMR, Blood Pressure, Nicotine Replacement, Period and Ovulation Calculators. 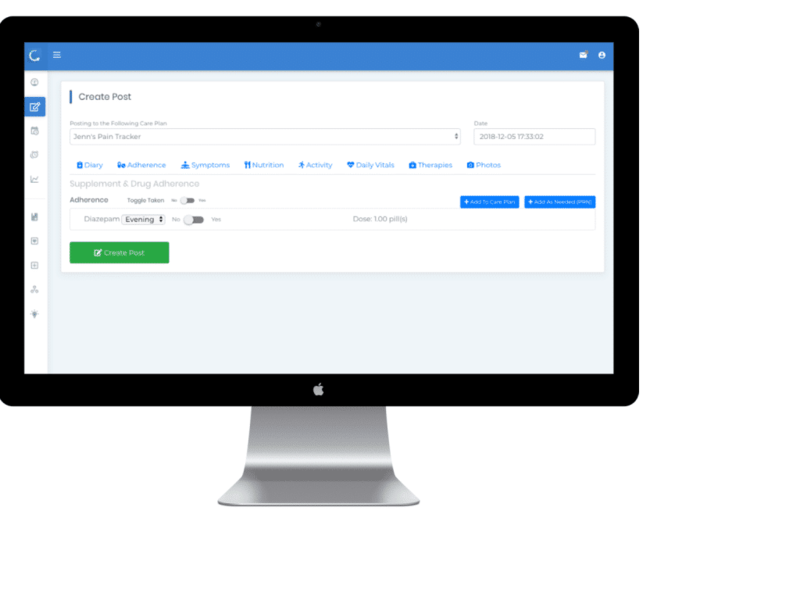 Flexibility to be used for multiple use cases such as a Chronic Illness Tracker, Mood Tracking, Pain Tracking, Gratitude Tracker, Stool Tracker & more. Not being able to stay on top of your health can be disastrous, CareClinic can help! Create a care plan to track your medication intake, set reminders, and view reports. 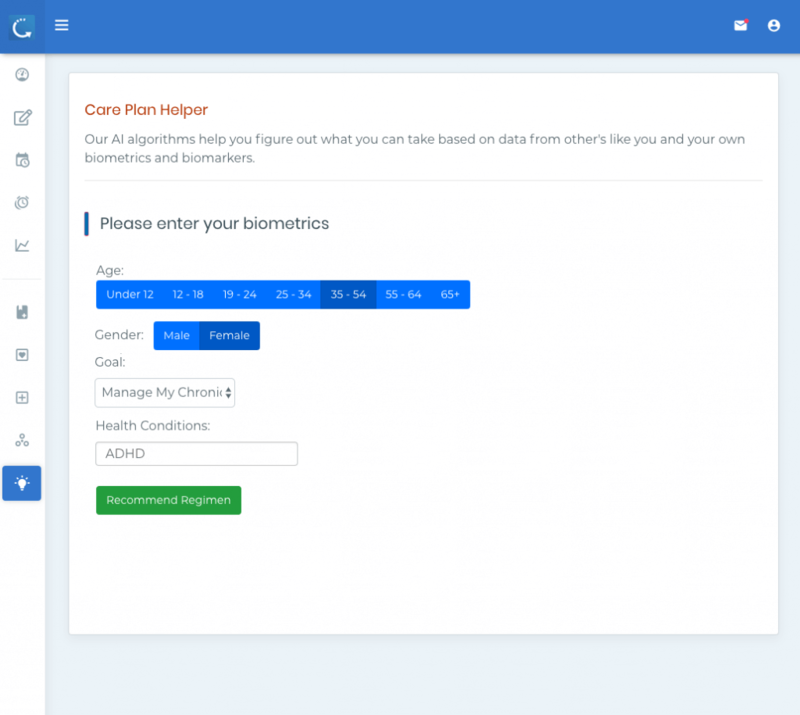 Treat CareClinic like your Personal Health Record (PHR) to store all your health information in one place. But that’s not all, we let you take it a step further by letting you track your vitals, fitness, sleep, pain, nutrition & more! This App is critical for those with chronic conditions such as Chronic Pain, Fibromyalgia, IBS, Diabetes, COPD, Epilepsy, Psoriasis, Multiple sclerosis (MS). Along with: psychiatric disorders as well such as ADHD/ADD, Depression, Anxiety and more.